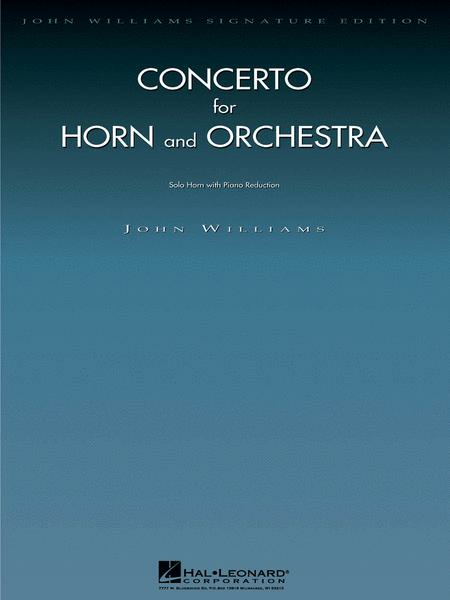 Horn with Piano Reduction. Composed by John Williams. John Williams Signature Edition - Woodwind. Concerto. Conductor Score (Full Score) and Part. 40 pages. 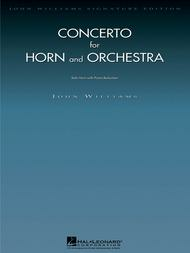 Published by Hal Leonard (HL.842099). Performance sets for solo with orchestra are available (rental). Click here for information and to receive a quote. a professional horn player, and this piece is still doable. very manageable. Persistence, patience, and practice are the 3 things that will help you learn this piece. Well worth it in the end! 33 of 56 people found this review helpful. this is so hard, I cant even count it, at certain sections. 19 of 52 people found this review helpful.